Look inside, take it apart, turn it over, and figure out how things work! Quippy descriptions, full-color diagrams, and brilliant photographs make even the most intimidating subjects completely accessible--and totally fun! (We're looking at you, space robots.) For every explanation, we touch on basic principles and then dive deeper. Just want to know what terraforming is? We've got you covered. Want to know how to terraform, say, Mars? We'll explain that, too. But this book isn't just for explainingthings. 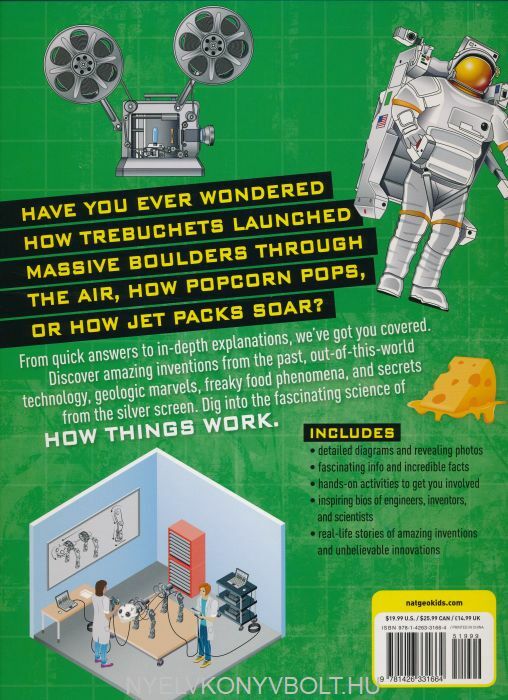 We'll also introduce you to the dreamers, scientists, and innovators who create this amazing stuff. You'll meet a NASA engineer, an underwater archaeologist, and a chocolate scientist. You'll learn what it's like to fly a plane into the eye of ahurricane--on purpose. 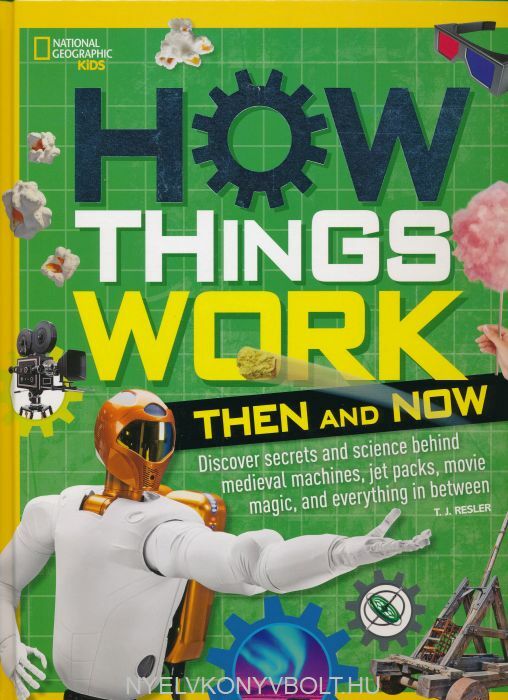 Following on the success of National Geographic's How Things Work and How Things Work: Inside Out, How Things Work: Then and Now tackles a whole new batch of extraordinary and everyday things from man-made to natural.